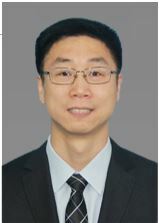 Ken is mainly responsible for drafting patent applications, preparing responses to office actions, patent re-examinations, patent invalidation. Specifically, he is engaged in dealing with foreign applications in China as well as Chinese applications in foreign countries, patent translations, search reporting and analysis, patent invalidation analysis. Ken provides constructive advice for patent excavation and other counselling services related to intellectual property for domestic and foreign clients. Prior to entry into patent practice, Ken spent 10 years as an engineer in various technical fields, including material processing, solar concentrating equipment, R&D in microelectronics interconnect materials, semiconductor packaging process and product design, with which he is qualified to make professional observations and provide suggestions and solutions to clients. In dealing with a typical case, where the examiner rejected the application as being unpatentable and the reexamination board supported the rejection as well, Ken conducted a careful study and comparison between the technical solution of the subject application and the prior art in the reference documents with respect to the reexamination opinions. A detailed and persuasive argument was made by starting from basic theories such as fluid mechanics with step-by-step illustration and painstaking analysis, to highlight the prominent substantive features and significant technical effects of the patent. Finally, our observations were recognized by the reexamination board, which revoked the refusal decision and allowed the subject application.